Owing to the years of industrial experience, we have been able to provide our esteemed customers with an extensive assortment of Solar DC / AC Cables. 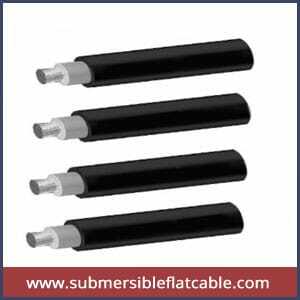 Our offered cables are extensively demanded in the market, these Solar DC / AC Cables are flexible that allows easy installation, contrived by our reliable vendors using outstanding quality material for superior insulation. Moreover, we scrutinize these flexible cables on assorted parameters before their finishing dispatch. These cables are manufactured using top grade basic material and modern technology in conformity with set international quality standards. These provided cables are tested by quality experts to make sure their faultless nature. Our accessible cables are obtainable in several sizes to meet the diverse requirements of our valuable clients. Furthermore, clients can avail these cables from us at market leading prices. Zero Halogen Low Smoke Insulation. Cross Linked Low Smoke Sheathing. UV Resistant Solar Cables as Per TUV Specs.